The pharmaceutical industry is not an island. It is affected by government, other industries, and consumers. Due to demands, whether commercial or legal, the sector, and the companies within it, are forced to change. Over the past few years, most pharmaceutical companies have undergone digitization. And, over the next few years, this digital transformation is only expected to continue and expand. It will touch every division of the pharmaceutical industry, from research to customer interaction. Here are just a few of the biggest digital transformations that are gaining popularity in the sector. Data is more accessible than ever before. Not only can drug companies more easily monitor a greater number of test subjects during the drug development and approval phase, but they now have the ability to continue to closely monitor the drug and its effects for the lifetime of the drug. As an example, pharmaceutical companies are creating apps that allow, and even encourage, patients to report on their experience with the drug. Alternatively, drug companies are starting to rely on sensors, implanted in the pills or in and on patients' bodies, to give the patients' vital signs and other data. This type of real-world data will transform the way that pharmaceutical companies market their drugs. They could potentially provide information to doctors that would allow them to much more precisely prescribe medication, leading to better outcomes and fewer side effects. Every industry is being forced to become more available. As more competition is popping up, consumers have the ability to choose, and those who are being chosen are the companies that are making themselves easy to contact and interact with. The pharmaceutical industry is far from immune from this. Patients are demanding better communication with the companies that provide them with their medications. Many pharmaceutical companies are exploring their options for patient interaction. When it comes to identifying what new symptoms mean, some pharmaceutical companies are offering tips for what patients can ask their doctor and symptom identification tools. Other companies are starting to offer pages of information on various conditions or tools for comparing medications. There are also apps for reminding patients to take their medication and manage adherence, as well as tools for finding co-pay coupons. There are even pharmaceutical companies that are providing coaching apps for patients who are recovering from various diseases, offering hours of helpful digital content and even chat sessions with professionals. The possibilities are endless and the companies that explore these possibilities are going to have better long-term relationships with consumers who use their drugs and the doctors who prescribe them. Doctors are busy. They work long hours. Many can have unpredictable schedules, with emergency surgeries, unforeseen patient issues, and more. On top of this, the more specialized a doctor is, the more pharmaceutical representatives they will have to meet with in order to ascertain the usefulness and potential of a particular drug. 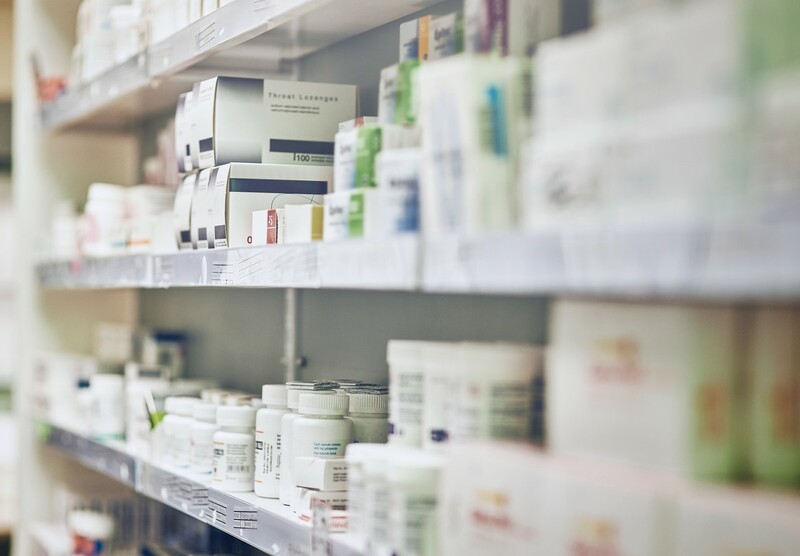 To become more accommodating and doctor-friendly, a handful of pharmaceutical companies are exploring alternatives, allowing health care providers to explore a new drug with increased ease. These new methods are all digital. Pharma companies are creating digital customer systems that provide resources and communication channels so that doctors have access to all the information they need when they need it. For many pharmaceutical companies, these systems are proving successful. They are able to not only increase their sales and revenue while making health care providers happy, but they are also able to reduce their sales cost. The idea of digitizing a supply chain is growing in popularity across industries. It enables companies to be more agile, allowing them to quickly respond to specific problems with a specific solution. It is proven to save companies resources, time, and money, even though the initial investment can be significant. With a successfully digitized supply chain, a company can move their personnel, resources, products, and other assets right when the need occurs, reducing disruption and other forms of losses. And for the pharmaceutical industry, a digitized supply chain could put a very positive spin on the new serialization mandates. The majority of the world is beginning to see serialization regulations in the pharmaceutical industry. While there is final legislation in the United States and most of Europe, most developed nations around the world have at least draft serialization legislation. Governments want to be able to monitor the movement of every carton, bottle, and pack of drugs, as it moves from the manufacturer to the wholesaler to the pharmacy and finally to the consumer. Since every pharmaceutical company is being forced to make an investment in this digital progress, some are making the smart move of slightly increasing their investment so that their entire supply chain is digitized. The pharmaceutical industry is no different from any other industry in that it is constantly in need of new talent. It has to recruit. In order to more effectively recruit a younger workforce, many pharmaceutical companies are employing the use of augmented and virtual reality. Recruits are beginning to see businesses in this industry stick out at career fairs with more immersive booth experiences. But the digitized experience does not stop there. Some companies are utilizing AR and VR, along with other advanced technologies, to take new employees through the training process, providing them with a much more real-life look into what is expected of them and how they can accomplish it. In short, the pharmaceutical industry is changing. Companies are finding new and better ways to run their operations. And all of it includes going digital.